A powerful serum with 30% of L-ascorbic Acid and beneficial action on the skin. From its antioxidant protection, to its illuminating effect, to the anti-wrinkle magic that it exercises, this serum is basic in the routine of the skin care. It is time to regain control of skin ageing and restore its brightness and clarity, improve skin flexibility, provide overall uniformity and an adjustment effect to boot. 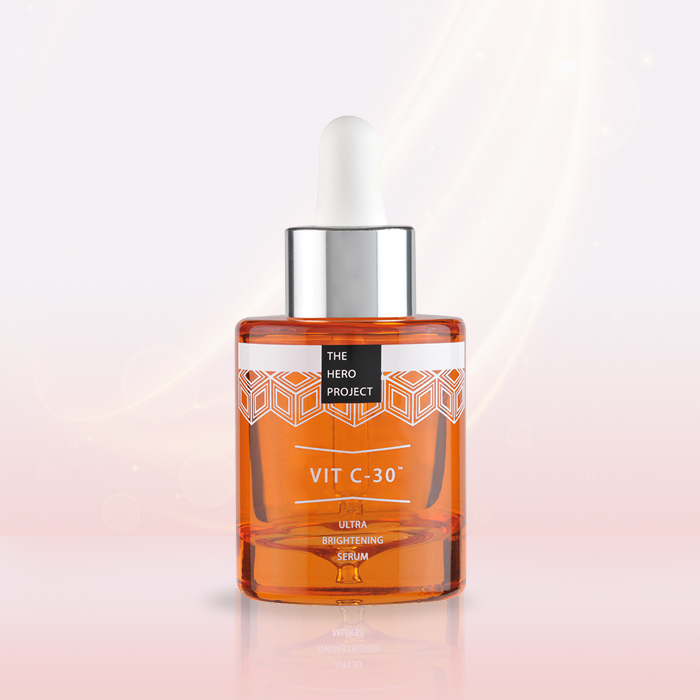 This effective high concentrate serum in Vit C is presented in a qualitative packaging entirely developed and manufactured by Virospack. Vit C-30™ comes in a smart bottle with an easy to use classic dropper so you can get the right amount of drops every time. The glass dropper bottle is the perfect package for cosmetic brands which produce delicate formulas like this serum, being the perfect applicator for liquid and fluid solutions that are easily dispensed and with precision. 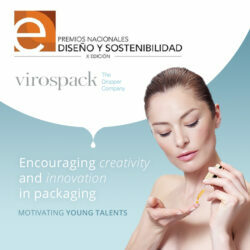 The moulded glass bottle used for this launch, has a 30ml capacity, and it´s one of the two models of moulded glass bottles that are supplied by Virospack. It is a high quality and heavy weight, given by the thick glass bottom of the bottle. 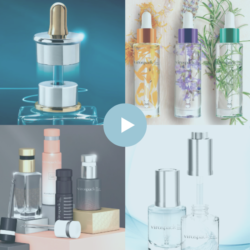 A cosmetic and premium presentation, with an innovative technique, a ‘last drop’ finish that allows for a restitution of under of 99,3% of the product, much lower than the norm, a concept that is highly valued by consumers. Thanks to Virospack´s in-house decoration techniques, the bottle has been customized answering the briefing of the brand playing with the silk screening. The decoration of this packaging hasn´t been easy due to the geometry and the thin precision of the design, but thanks to the decoration department, working closely with THE HERO PROJECTTM team, the final result perfectly transmits the design requested by the client. A classic dropper in a 20/410 neck thread completes the full package of Vit C-30™. An impactful design with a rubber bulb in white and a metallized cap in silver, for a wonderful final set. A dropper totally compatible and made to ensure an easy and comfortable application of the formula with a controlled and precise dosage. A dropper that fits perfectly with the bottle, and the clean pipette thanks to the standard wiper developed by Virospack to wipe the pipette always clean. Vit C-30™ by THE HERO PROJECTTM in a full dropper dispenser pack by Virospack. Apply 3-4 drops to clean face, neck and upper chest then gently massage the serum in. Avoid the delicate eye area. Once applied, you’ll feel the product on the skin. Perhaps a slight tingle? No problem! This is a good thing and means the product is working. As we like to say – Vit C-30™ both tightens and brightens your skin.